We supplement our range with the new product solvoprint® power-tack 180. Solvoprint® easy fix 180 MSP‘s extremely popular 180 µm film and the strong adhesive innovation of solvoprint® performance wall-grip provide the advantages of the new product. In practice, self-adhesive print media are often difficult to bond to low-energy surfaces, e.g. polypropylene (PP) or polyethylene. Therefore, Solvoprint® power-tack 180 was coated with a special, water-based, age-resistant, strongly permanently adhesive acrylic adhesive. This guarantees a secure grip on low-energy surfaces as well as chipboard or e.g. concrete indoor surfaces. The 180 µm PVC film also impresses with its very high opacity which does not allow surfaces to shine through. Their high colour brilliance and attractive whiteness are the basis for perfect photorealistic results. 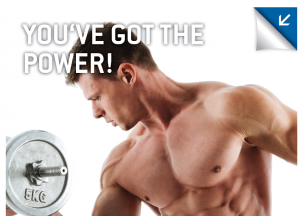 The print medium is suitable for solvent-based, latex and UV-curable inks. 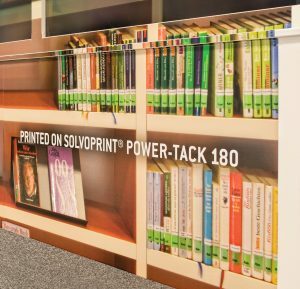 Solvoprint® power-tack 180 is now available in a width of 137.2 cm x 30 m. For outdoor applications, we presented the polymeric 100 µm film solvoprint® performance wall-grip with identical adhesive formulation in August last year.